CALL NOW FOR FAST TOWING SERVICE IN Gainesville! Proudly serving the entire greater Gainesville area. The #1 Towing Company in Gainesville! We fast response as well as reliable and affordable towing service in Gainesville and the surrounding areas. Simply put, we are the best Towing Service and Tow Truck Company in Gainesville! 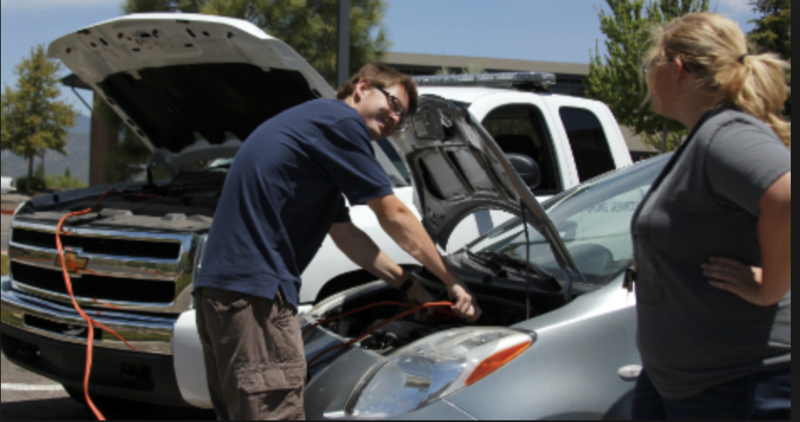 Have you experience to be stuck on the road and need a roadside assistance right away? You got us! The best towing Service in Gainesville, FL. call us and we’ll be there immediately! We all know that you can pay more just to get out of the situation. But Gainesville Towing Service will assist you at the most reasonable pricing. We can give yu the assurance that we are the most affordable towing here in Gainesville. We don’t take advantage and use the situation. you’ll be glad you called the best Towing Service in Gainesville instead of someone else! Call us! Just check our number in our page. We are here to provide you the fastes service that you ever wanted. For whatever the reaosn is, towing your vehicle, filling up your gas, changing your flat tires or need a service on your dead batteries. We can assist you right away! And we can also take your vehicle on your prefered location but it all depends with the place. The closer the trip means cheaper. There are car breakdowns at all times. We can’t tell when it is gonna happen, What you need is a local towing company in Gainesville that will answer your call and assist you right away. We also experience the same situation. We undersatand how does it feels like waiting for a respond because you keep on calling u ni answering your phone call. You have been stuck in the middle of the road but no one is there to assist you. Will give you the assurance that w e are not going to do that with you. Why Should You Call the Most Affordable Towing Company in Gainesville, FL? We treat our customer as one of our family. We prioritize each of everyone. We provide extraordinary service. We are professional in this kind of industry. No exceptions and we’ll be there to speed up your current situation. We are the fastest towing service in Gainesville. We value time. Once you call us you’ll get the fastest response from us. We always meet the standard in terms of responding. We are busy too, let’s be honest. There are time that we can’t assist you immediately. But don’t you worry We have lots of driver on the road and they know how to handle the situations. And if we can’t assist you immediately we’ll let you know. We are professionals and don’t want to let you stay on the road. We are the most reliable towing company in Gainesville. We promise to always give our price and if there is something happen that will cause delay we’ll give you a call right away. You can trust Gainesville Towing Company. We are always doing our best just to get you as soon as possible. You can trust that we can give you the most and affordable pricing at towing company in Gainesville, FL. As Gainesville’s premiere towing service company, We are operating 24 hours a day, 7 days a week. We know how untimely the car breakdown strikes. That is why we are here to provide 24hours assistance. We don’t care what time is it. Our priority is to get you out of that situation right away! Here at Towing Service in Gainesville, FL we are fully equipped and experience in handling untimely situations. We make sure that your vehicle is in safe hand. We won’t let your vehicle get even a samall damage. We load your vehicle to our flatbed with extra care. We will have a tow truck driver and our expert team out to your location fast and will handle any kind of situation. We all know that you can pay more just to get out of the situation. But Gainesville Towing Service will assist you at the most reasonable pricing. We can give you the assurance that we are the most affordable towing here in Gainesville. We don’t take advantage and use the situation. you’ll be glad you called the best Towing Service in Gainesville instead of someone else! Call us! Just check our number on our page. We are here to provide you with the fastest service that you ever wanted. For whatever the reason is, towing your vehicle, filling up your gas, changing your flat tires or need a service on your dead batteries. We can assist you right away! And we can also take your vehicle on your preferred location but it all depends on the place. The closer the trip means cheaper. There are car breakdowns at all times. We can’t tell when it is gonna happen, What you need is a local towing company in Gainesville that will answer your call and assist you right away. We also experience the same situation. We understand how does it feels like waiting for a response because you keep on calling and no one answering your phone call. You ahve been stuck in the middle of the road but no one is there to assist you. Will give you the assurance that we are not going to do that with you. We treat you like our mom. Our mother needs a special care, Come to think of it. Your mom is in the same situation, are you going to keep her waiting> We don’t want our mom to feel the same way. That is why we can take of you like we treat our mom. Once you call us, just count on your clock and we’ll be there immediately! We’re the best towing company in Gainesville. We provide fast response as well as a reliable and affordable towing service. Simply put, we are the best Towing Service and Tow Truck Company in Gainesville! We are all experiencing that sometimes life happens while we’re driving. Flat tires, your engine fails, empty gas, locked door, some mechanical issues that cause of being stuck on the roadside. You don’t have to experience those situation. Call the fastest towing service in Gainesville. We’re here to serve you! Are you a business owner and need to have a car towed? No need to worry! We are here to help you.Sometimes people just don’t pay attention to signs. And sometimes they see them but just don’t care. You don’t have to put up with that. Call us at Gainesville Towing Company and we’ll be assisting you the fastest as we can . We promise, that car won’t be illegally parked for long. We can tow any unauthorized or illegally parked vehicles that are parked in your area.We’re here to assist you. We want to help you be safe and secure. Is there a vehicle parked illegally on your property that you want to have removed? Let know. We can send the bill to the guilty party. Sometimes we experience unwanted situations while driving. Your car breakdown because of flat tires, engine fails or even locked out. Your gas is empty and other mechanical issus. You don’t need to expperience all of them. Call the fastest towing service in Gainesville. We’re here to serve you! Call Gainesville Towing Service and we’ll be there to assist you. We can guarantee you that you car will not be charged for illegal parking. We can also help you unauthorized parked vehicle on your area. Gainesville Towing will not just provide roadside assistance. We can also help you repossessing unpaid car loans even sending bills with illegal parking guilty party. 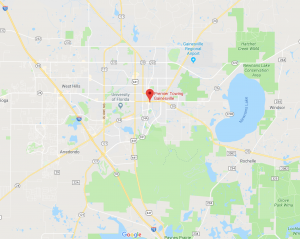 Gainesville Towing Service began with one tow truck driver in the Gainesville area who worked to help provide towing service on I75 and had a dream to eventually build his own company. For years, we have been serving Gainesville and growing to the fleet that we have today. When you think of I-75 Towing think of us. We have service vehicles and tow trucks in every part of Gainesville ready to serve you should you need it. Today we perform light duty towing, medium duty towing, commercial towing, DARP towing, emergency roadside assistance, lockouts, jumpstarts and more. We have partnered with major insurance companies to perform their emergency towing and roadside assistance needs as well as major motorist clubs. We have also help with emergency accident towing I-75 so that you and your vehicle will be safe when you need us the most. Trust us with you and your vehicle’s safety when the moment comes. Our 24 hour tow trucks are just one call away for your all of your needs.